One Dream World: What's the commotion about 2012? Type 2012 in google search and you will be awed at the responses that the search engine lists. Read through the articles or sites and you will know that people are talking heavily about the earth's doom or destruction of the world or the judgement day scheduled on December 21, 2012. 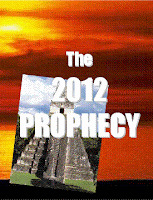 You will have varied views on 2012 but what is sure from all the information is that there is something major expected on our planet during this earth. There are people who have started working towards it like getting into spiritualism, being God-fearing, learning meditation, etc. People advocate that we have to cleanse ourselves and the planet and try to spiritualize everyone as much as possible as a positive outcome to the event in 2012. All the above holds to be true but unfortunately what everybody is focussing on is the DOOM of earth. 2012 certainly is a great year to look forward to expecting major changes on life in the Universe but certainly it need not be in the form of doom! I would not want to give you such "accurate" details about what will happen in 2012 because you can find the information on the internet. 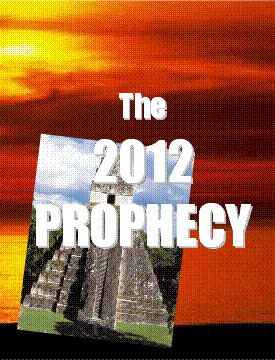 But importantly what I want to focus here on 2012 is the perception or outlook that we have about it. Change in the Universe is inevitable. So, just as there is day after night, it is quite natural for the Universe to undergo transitions and what we are having right now is bad to good, negitivity to positivity. If you look around closely you will observe that the earth had begun its changes long back. It could date back to the 1970's when changes started happening. There was lot of awakening happening. If you look around today these changes are happening at a massive rate at great intensities. Look around and you notice that natural calamities are on rise, new diseases are emerging, climatic changes are happening, there are more of interpersonal discords, voilence has increased, extinction of certain species are happening, people are not able to digest the same food that they lived on so comfortably, intolerance to petty things are getting more obvious, and so on... Also, on the other side if you look at things closely you will observe that due to all these changes people are pushed to the verge and to the ends of their limites and tolerance until they finally gasp in for pure air and help. More and more people are looking forward to learning new things, people are approaching natural methods of life like vegetarianism, ayurveda, yoga. There is more awareness of the body and attempts are constantly made to keep diseases and illnesses in control by being in touch with nature. Meditation was once a tabboo and today its the way of life. So, what is happening is a major transition among all life on earth. There is mass cleansing of life and there is relocation of life all over the earth. Everything is getting more organized if you happen to observe carefully. But, adversely, what is happening is that we are giving more focus on the negativities that are happening like diseases, terrorism, calamities, etc. We must understand that we have ourselves invited all these. What the masses have been focussing on is now being manifested on earth. What in our past days we have been dwelling upon and "enjoying" is now been manifested to the fullest. So, when we now focus on negativities and things like DOOM or destruction are'nt we attracting it, even if it wasnt something that was supposed to happen? Focus more on the transition. Put more emphasis on the positivity of the outcomes of negativities. Then as a mass effect we shall see the earth's transition in its own positive way. Karmic cleansing will happen whether we want it or not, then why focus on these negativities. It is what one gave out that is now being returned. We do not have a choice or options on the outcomes of our past but we certainly do have choice and options for our future. Focus more on the good outcomes and you shall contribute to the goodness that earth will witness. The universe is unbiased and is always known to balance itself from time to time in the form of different reactions to our own actions. Let it do its job. Let us do our job - our job of aligning to how nature functions. Problems begin when we go against the law of nature. Let us flow with nature - with whatever is happening. When we collectively focus on the goodness, there shall be goodness. 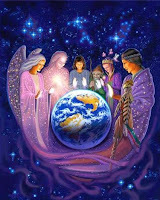 But one thing is for sure.. the transition is happening and it is certainly moving towards the earth's transformation. All souls who wish to go with the change and adapt will support their own smooth transition and the souls that refuse to go with the change or oppose will certainly have a tough time holding to their old selves and old ways, thus resulting in what we call "suffering". How you can contribute to the transition year 2012 or how can do something for the suffering on earth? Be at peace yourself first. The turmoil you see outside is obvious of your own inner turmoil. Light a candle or a diya whenever possible. Discuss more about peace than war and terrorism. Include a short prayer in your daily prayers for world peace. Do not get discouraged looking at the news. Don't get too absorbed in negative news. Do not criticize or blame anything wrong in nature. Nature knows its job and is doing it. Do not be scared of the year 2012. Trust the process. Do not fall into false propaganda about this year. Follow your heart. Be in tune with nature in all possible ways. Take time to bless the "unfortunate".